Have you missed reading about awesome athletes on this blog? 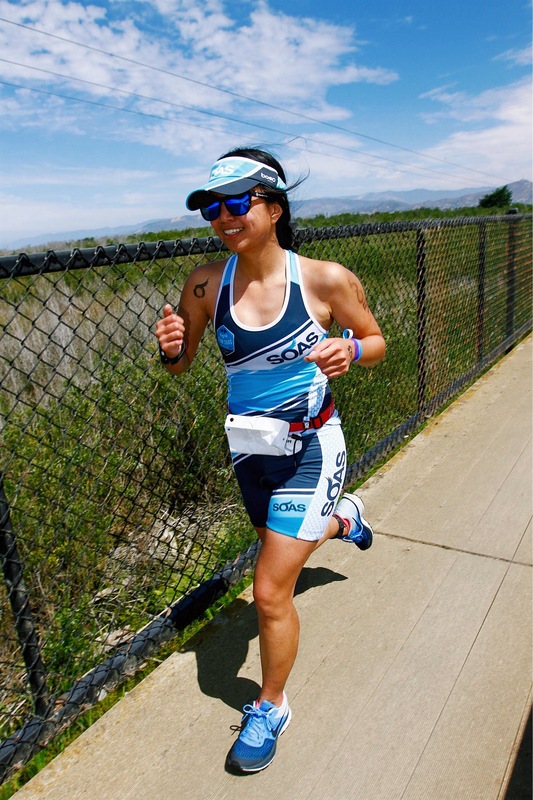 I had been missing them too, so I recently interviewed a friend and local triathlete, Rebecca Aquino. I have the pleasure of coaching Rebecca at our Buenaventura Triathlon Squad swim practices. She is motivated, hard-working, and always brings a smile at 6 a.m. She has been improving steadily in the water due to her commitment to refining her technique and putting in the time week after week; she is setting herself up for an amazing triathlon season. Go Rebecca! Favorite sports or hobbies: Trail running, hiking, playing guitar. When/how/why did you become a triathlete? : My boyfriend Greg did his first triathlon in 2014 (Dina La Vigna), and I watched the whole event in total awe. I did not know how to swim, so I never thought that triathlon would be on my radar. He ended up doing Nautica Malibu later that season and needed a training partner, so it was something new and fun to try together. Swim dates at the pool became a regular thing! Favorite triathlon accomplishment(s): My first half Ironman in Santa Cruz, 2015. Hardest race and/or workout you’ve ever completed: Training on Mulholland Highway with my cycling group last summer, trail races with Greg and his brother Ben (they pick all the hard races). Most memorable training and/or race moment(s): Swimming with a pack at the Carpinteria Sprint Tri last fall instead of hanging back and swimming solo per usual. It was the first race that I felt confident in the swim. Current 2017 training/competition goal: PR in Oceanside in a few weeks (!) and get stronger and faster overall. Why do you want to accomplish this goal? : Always want to learn and improve. I’ve gone from “Can I do a triathlon?” to “Can I race a triathlon?” I also hope to build some fitness towards an Ironman (possibly 2018). How do you plan to go about accomplishing it: Consistent and quality swim/bike/running, incorporating strength training, focusing on all the little things (sleep, nutrition, PT exercises, etc). Pre-race ritual or superstition: Lucky race socks. Training “secrets”/tips: Let your “easy” workout days stay easy. Practice your race day nutrition. Training pet peeve: I’ve only encountered this while training in Orange County, but having someone draft behind you and never take a turn at the front. Not cool. Post-race/workout treat: McConnell’s Ice Cream. My current favorite combination is olive oil and salted almonds + salted caramel chip. Ideal training “camp” location: San Luis Obispo, CA. We did a weekend of riding + family time + wine tasting and it was perfect! Forever grateful for family that let us bring the bikes when we come to visit. Who/what motivates you to keep training and competing? It makes me a better person. I can concentrate more and perform at a higher level at work, sleep better, and I’m overall happier if I’m outdoors doing something that I love. Who/what motivates you to keep going when it gets tough? My SOAS Racing Teammates near and far, Adobo Velo cyclists who push me through challenging climbs and routes that ultimately have made me a better cyclist, and of course, Greg (he will let me draft on his wheel when I am tired). Something you’ve learned about yourself through triathlons: Anything is possible, and that I’m capable of more than I had ever imagined. I went from not knowing how to swim, never riding a road bike, and being an injured runner, to a triathlete. 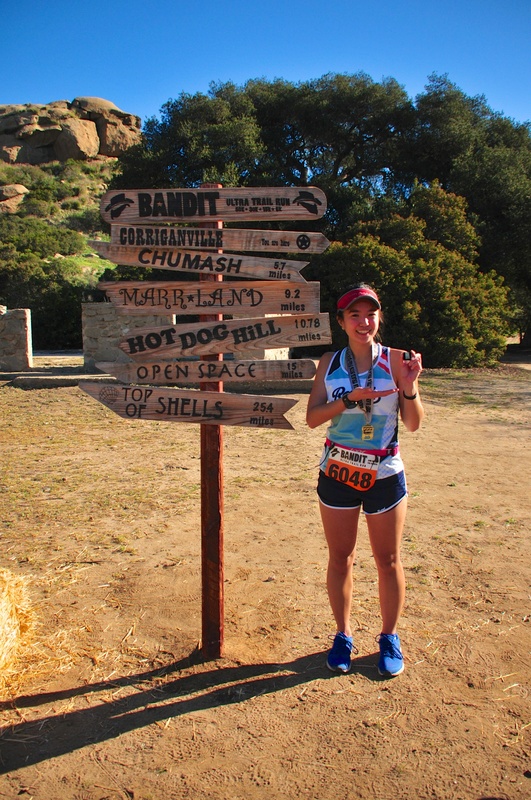 Words of wisdom to aspiring endurance athletes: There is so much information out there–reach out and ask someone. I credit people like past physical therapy patients in my office, teammates, and Dr. Romeo Dimaano for sharing their knowledge with me throughout the years. What does “Fuel” mean to you? : Eating to train/race/compete! Originally my relationship with food was training/racing in order to eat, which turned out to be very restricting and unhealthy despite running PR races many years ago. Now, I’m happy to say that I have a better mindset on food as fuel. What does being “Fit” mean to you? : Getting to the start line and knowing that you’ve done the work…and it’s time to have fun! Coffee, tea, or hot chocolate? Coffee! Any other fun facts about you: Studied biology and music in college. Played guitar in a mariachi ensemble. Learned how to swim in 2014.